Interested in becoming a sponsor of the McKinney Celtic Music Festival? Sponsor levels listed below. Those interested should fill out the contact form on the festival website. 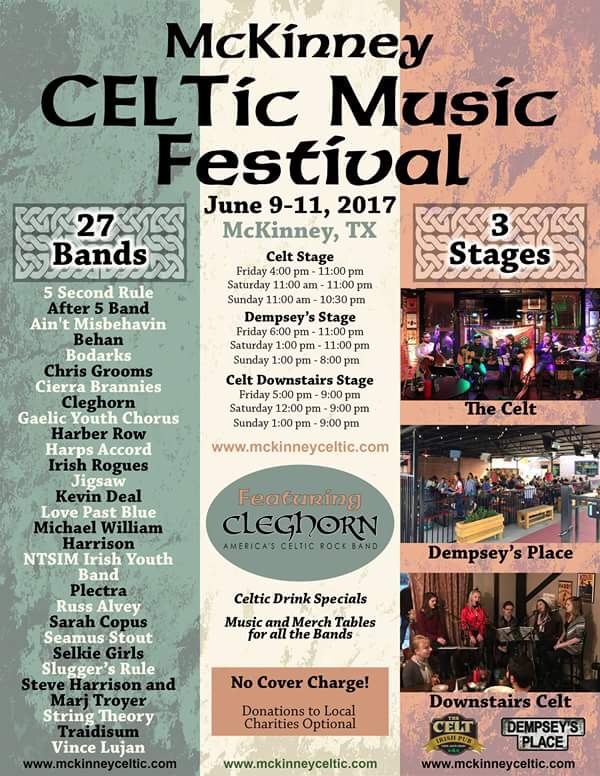 For complete festival information go to www.mckinneyceltic.com. 1/2 Off Wells, $1 Off All Beer, Wine & Premium Spirits! Dempsey's Place has daily food and drink specials that rival and best our competition.